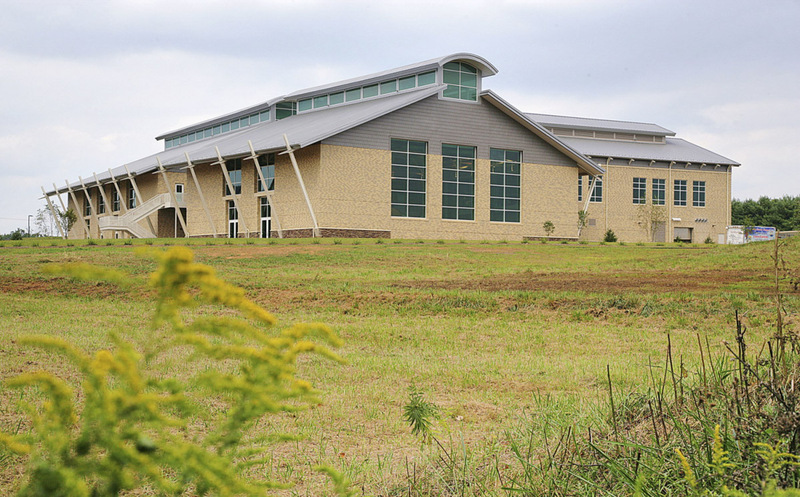 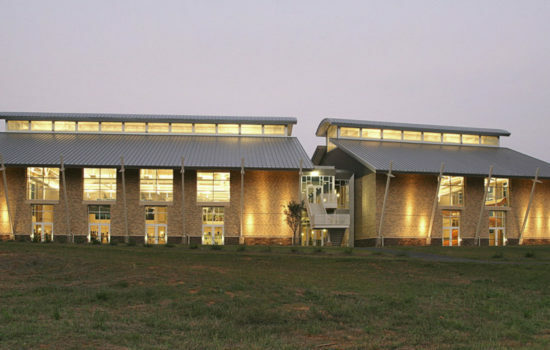 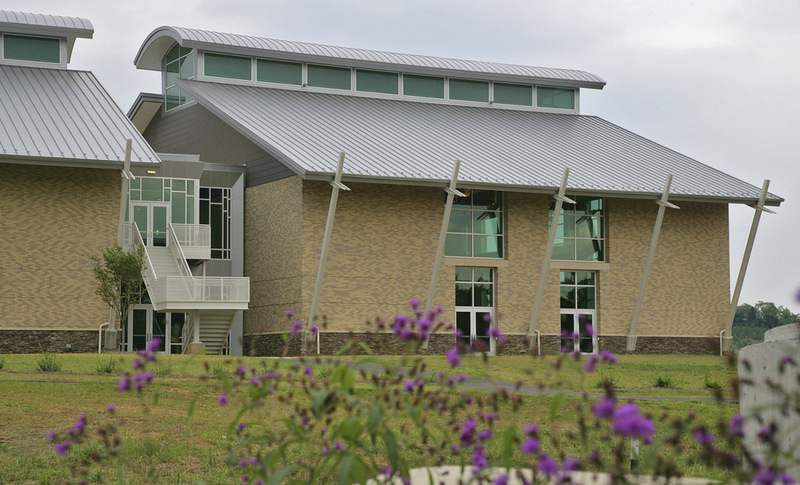 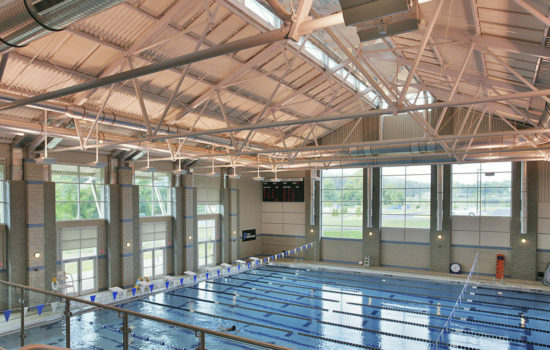 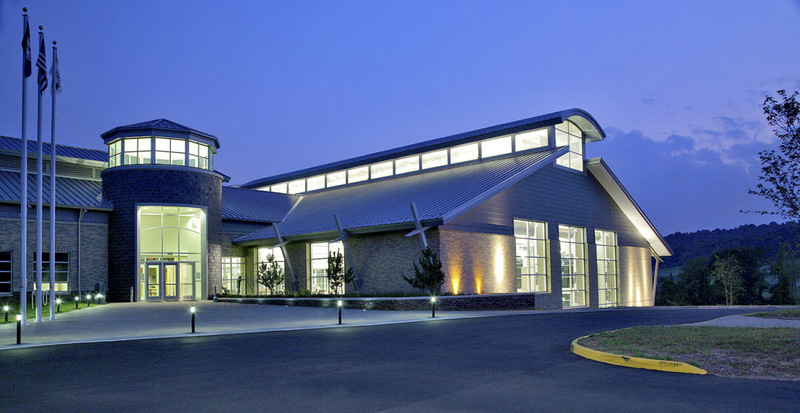 On a rolling site in Virginia’s agricultural Piedmont region, the Warrenton Aquatic and Recreation Facility provides enviable recreational amenities to the growing population of young families and active adults. 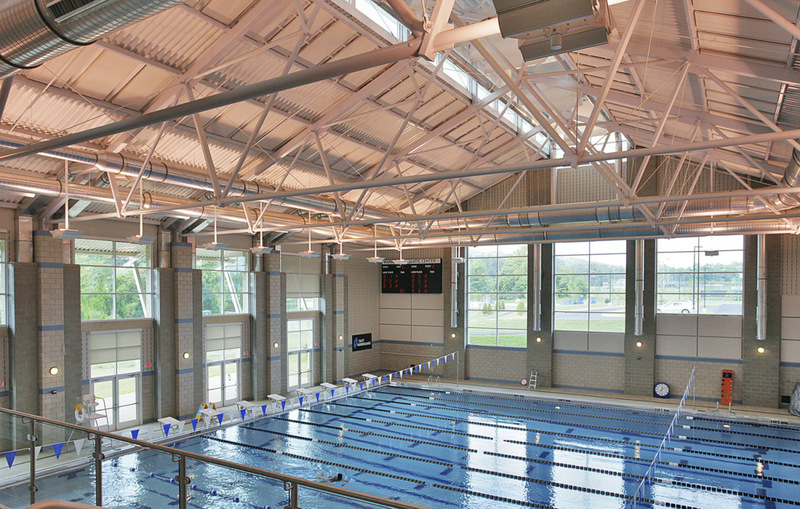 A large competition pool is the highlight of the facility, where spectators can watch events from either tiered seating or a casual lounge. 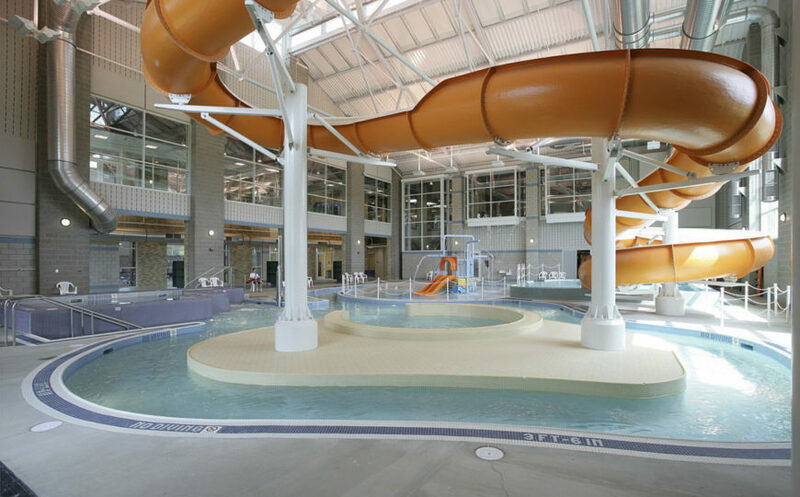 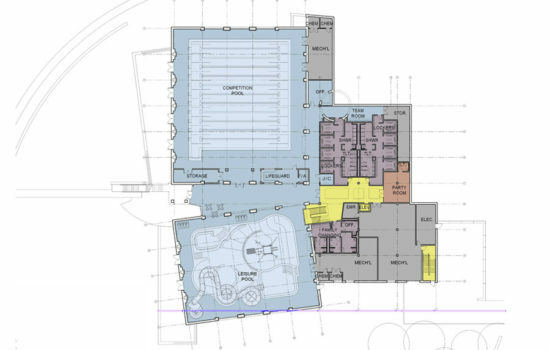 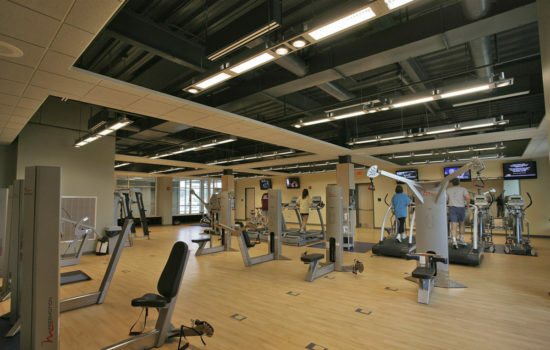 The program also includes a splash pool and spa, fitness and exercise studios, and abundant playing fields and hiking paths. 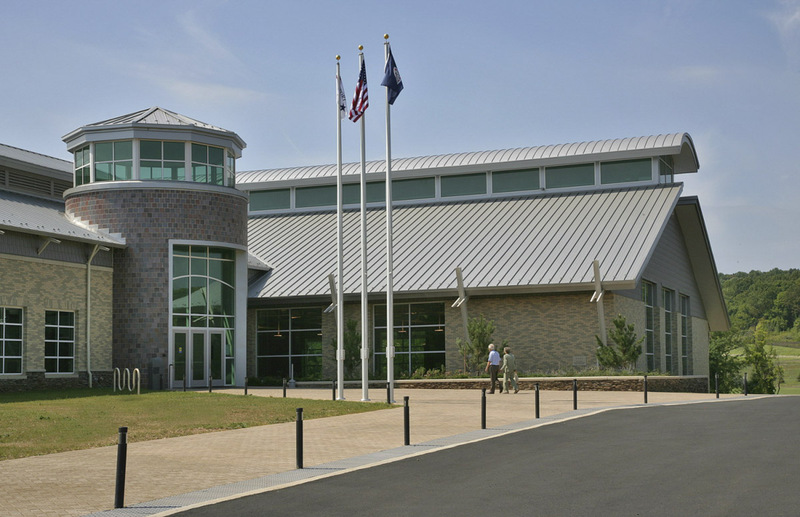 Inspired by the site’s history as a working farm, the building draws on agricultural references and natural colors, with broad gabled shapes and simple forms. The masonry’s amber hues recall the extensive fields, and the entry resembles a traditional grain silo. 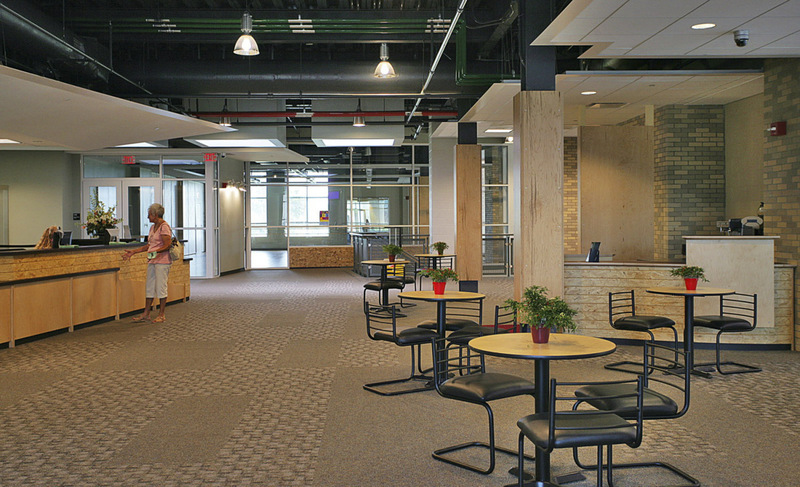 The interior spaces are characterized by the same qualities of rural simplicity. 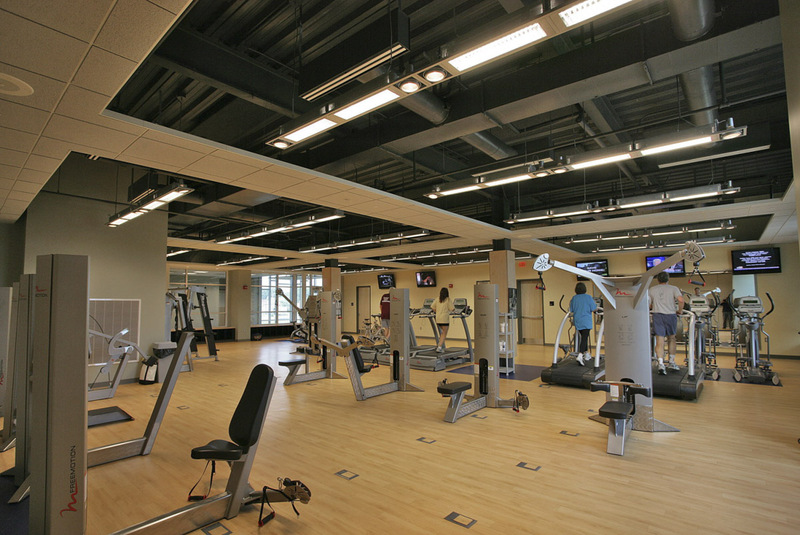 The light, open structure and simple, rugged materials reflect the casual familiarity of and physical activity associated with the building’s program. 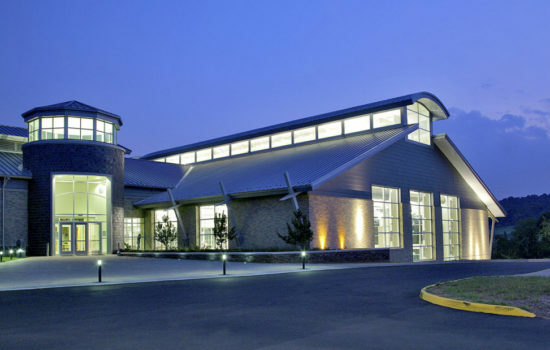 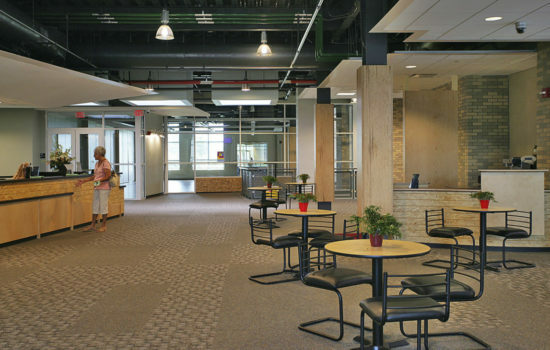 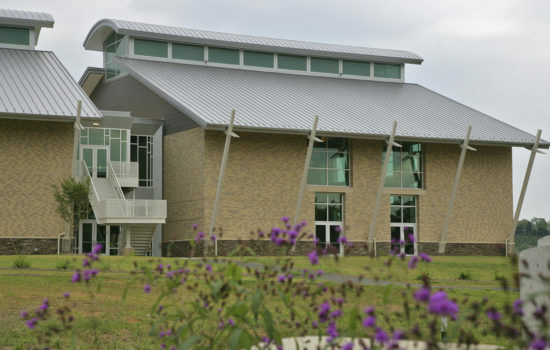 The extensive use of glass inside the building connects the various activities, while large windows provide long views across the playing fields, and indoor pools and clerestory windows provide light from above.